PSA: Gravity Rush is now on PS4! A quick (mildly passive-aggressive) heads-up for the PS4 owners among you: Gravity Rush Remastered hits UK shop shelves today, and you should absolutely go and buy a copy. 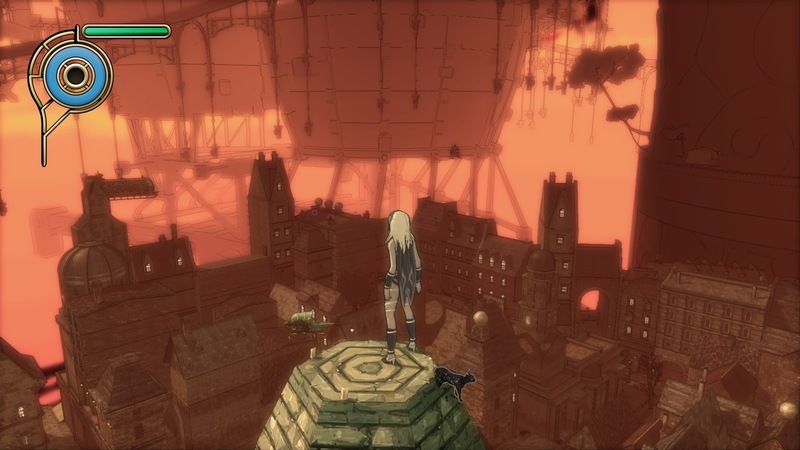 Originally released on PlayStation Vita back in 2012, Gravity Rush has since become a cult favourite for fans of the under-appreciated handheld, and now it’s coming to a wider audience, fans are hoping it can attract a whole new fanbase on home console. Honestly, it’s a miracle we’re getting a sequel, which is coming to PS4 sometime this year, so if you never had access to a Vita, now’s the time to play this unique, wonderful game from Sony’s Japan Studio. The Vita game had a wonderful effect where the horizon became a sort of abstract sketch to mask the draw distance. Thankfully, Bluepoint have retained the effect on PS4. I loved it then and I love it now. So what is Gravity Rush, exactly? I’m glad you asked. It’s a mission-based open world game, though it’s different from any you’ve played before. Well, maybe Crackdown is the closest thing to it – certainly in the way that collecting gems to power up Kat is just as addictive as hunting down Crackdown‘s agility orbs – but even then the two games aren’t particularly alike. It’s effectively a superhero origin story, starring a teenage amnesiac, and you’re already beginning to roll your eyes and groan, imagining lots of attitude and a dark backstory. Well, it’s the opposite of that. Gravity Rush‘s protagonist, Kat, has no backstory. And she doesn’t have much of an attitude, either. She wakes up one day in the city of Hekseville with no memory of who or where she is, finds she has the power to manipulate gravity through a mysterious cat she names Dusty, and then she promptly sets out to cheerfully help the people of the city as they find themselves under attack from strange monsters called Nevi. I said Kat can control gravity, remember? Well, the whole game is built around that. With the tap of a button, you can untether her from gravity altogether, and then decide at will which direction you want to ‘fall’. The city is one huge playground for your to fling yourself around – through, over and under, as Hekseville rather strangely just floats in a void. The ability to realign gravity means Kat can walk on walls, drop horizontally to travel at speed, or simply just fall into the sky. You can see what I mean in the video below, which shows ten minutes of early-game play, as our heroine sets up a home for herself. I love games that make it a joy just simply getting around the world and exploring, and in that respect, Gravity Rush is one of the best. Add to that beautiful art, a soundtrack with serious earworm potential and a likeable, engaging lead and you’ve got something really special. The conversion has been masterfully handled by remaster specialists Bluepoint, who have done a wonderful job bringing the game up to PS4 standards while respecting the art and aesthetic of the Vita original, and at just half the price of a standard new game, how can you say no? Well, don’t. Go and grab a copy and maybe we can all make sure that Gravity Rush 2 is a smashing success. Sony may have sent this game out to die with no marketing, but we can show them that unique games like this have a place in the market. 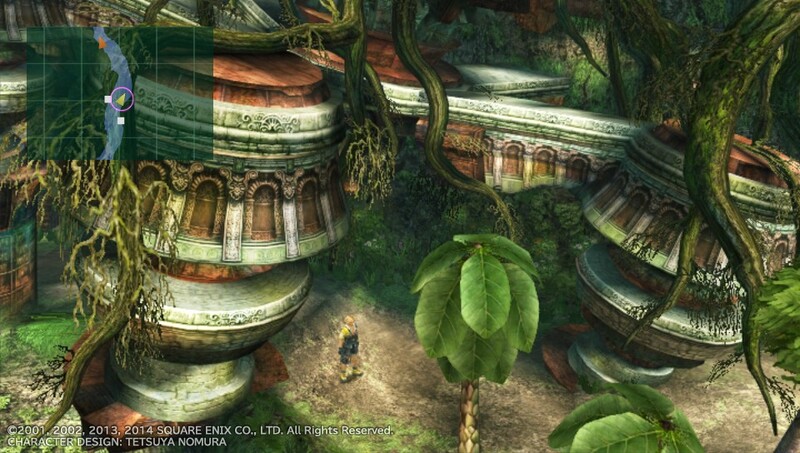 Final Fantasy X|X-2 HD Remaster is finally (finally) with us. After a wait of almost two-and-a-half years, I finally have one of the games that convinced me to pre-order a Vita in my hands. Actually, I have two copies (erm…), as I also grabbed a copy of the PS3 limited edition, which comes with a gorgeous little hardback artbook, complete with notations for much of the included full-colour art. But it’s the Vita version which has most impressed me, despite the reduction in resolution from its big screen brother. It looks every bit as sharp and clean as the PS3 version (bar some artifacting in some FMV scenes – disappointingly, one of my favourite scenes in the entire game is quite macroblocked), and those lovely bright colours that drench the beaches and jungles of Besaid really pop out of the handheld’s OLED screen. I’m constantly stopping in-game to pick out detail that you could barely identify in the original PS2 release, like the Besaid ruins in the shot above, or the ornate flooring of the island’s Temple of the Fayth. It’s far from the best-looking title on the system (you can probably look to Killzone: Mercenary for that), but it’s been impressing me at every turn; I know the game very well, so it’s almost like seeing a long-held favourite in a new light. What I’m less sure of so far is the remastered music. Some of it is unquestionably better in my opinion (like Besaid’s theme), while others I’m less sure about, such as ‘Calm Before the Storm’. It’s only subtly different, but for the worse in my opinion. The original always had a somewhat otherworldly feel that the new arrangement doesn’t quite manage to elicit. The gameplay though? It’s as good as it ever was, and it’s actually surprised me just how good. Final Fantasy X is a game I’ve played twice. Well, almost twice; I never quite finished it the first time (at launch – I had a lot going on, okay? ), so I went back about three-or-so years ago (yep, just before they announced this remaster…) and played it from start to end. By the time I reached the climactic hours of Tidus and Yuna’s adventure, I was massively overpowered. Not because I’d purposely set out to be so, but I just had so much fun battling with the game’s enemies and exploiting its systems. 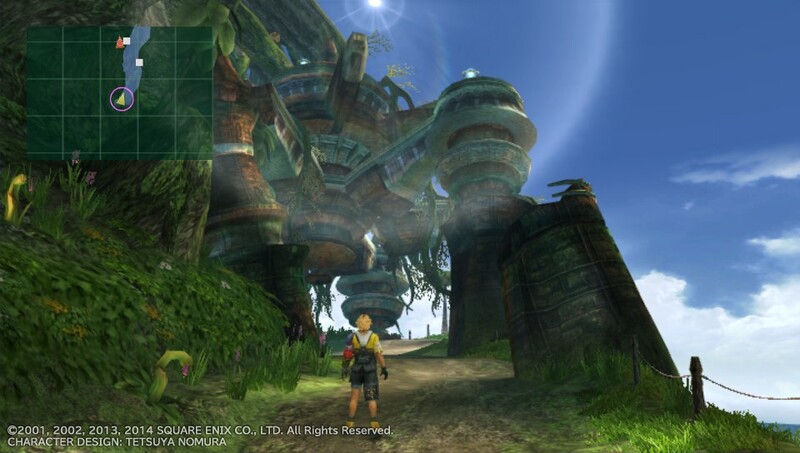 The game is probably one of the easier instalments in the series, but it’s kept engaging by making everyone useful in some way: Tidus is fast, so his turns come around often enough to use him as a backup healer; Yuna has her white magic and summons; Rikku can steal and combine items, and one-shot mechanical enemies; Kimahri can learn abilities from his enemies; and so on. So you’ve got a relatively straight-forward take on the traditional Final Fantasy job system, but what keeps X engaging is the ability to switch any party member in or out of battle at will to meet your needs. Up against an enemy with high physical resistance but weak to magic? Switch in Lulu and deal some massive damage. His buddy’s armoured, you say? Auron, you’re up! This immediacy is further reinforced by such design decisions as giving your white mage Esuna right off the bat. Generally, you’d have to work for such a useful spell, spending your initial hours throwing away precious items to cure your party of status effects. Here, you just sub someone else out for Yuna, cure the afflicted, and then get back to your gameplan. Save points in the world will replenish your health and magic, making level grinding more appealing as you no longer need to travel to an inn each time you reach your lowest ebb, and levelling and skill acquisition also benefit, offering to make the process as simple or involved as you like; I’m using the expert sphere grid for the first time, and enjoying the initially-overwhelming scope to develop my party as I see fit, but players that just want to follow a straight path can do just that with the normal grid, letting the game shape their characters’ growth for them. If this all sounds like it makes the game easy, well… it can do. But in adding an extra layer of both strategy and, crucially, possibility, what it ends up doing is replacing a system that often boils down to using the same three characters and mashing ‘X’ to spam physical attacks in an effort to speed through encounters, with one that not only encourages you to experience more of what the game offers, but makes it enjoyable to do so. In Final Fantasy X you’ll use everybody. Not just once in a while, but often in every fight. It gives you the tools to do what you need and want to do, and it’s eminently satisfying when you do it. 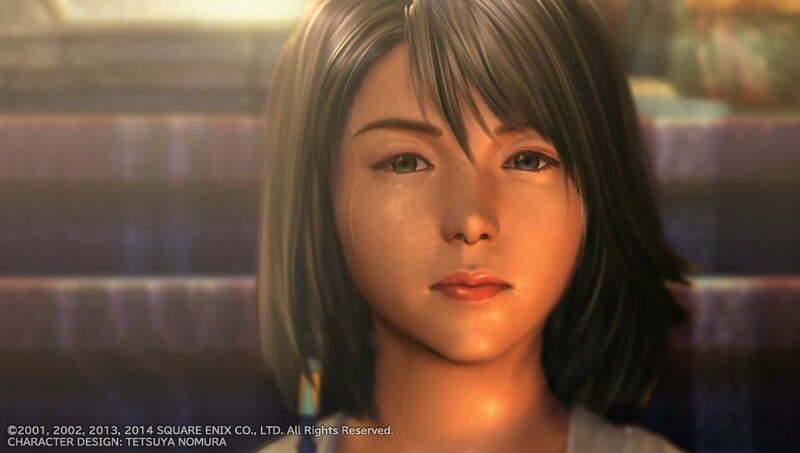 Final Fantasy X is looked at as the point where the series began to streamline somewhat, the logical conclusion thereof being 2010’s Final Fantasy XIII (indeed, there are many parallels you could draw between the two games, not least their linearity). But when I talk of the frictionless nature of Final Fantasy X, I don’t mean streamlining. I mean the ways in which the developers have taken fairly complex systems and made them easy to understand and manipulate; the way they’ve taken often-frustrating game mechanics like grinding and made them enjoyable and compelling. I mean the ways in which they’ve sanded down the barriers between what the player wants to do and what the game allows you to do, making it possible to have fun no matter what you’re doing in the world of Spira. Except Blitzball. No one likes Blitzball. PlayStation Vita exclusive action-RPG-type-thing Soul Sacrifice releases in Europe on April 30th, but we’ll have an opportunity to try out the game as early as next week. An update on the PlayStation Blog has announced that a demo will hit PSN in just five days – that’s April 17th, so mark those calendars, people! Soul Sacrifice is on my radar because it’s a collaboration between ex-Capcom chap Keiji Inafune and Sony’s Japan Studio (who have my attention for giving me my beloved Gravity Rush). The game heavily features the theme of sacrifice (obviously); players can choose to sacrifice their own body parts for powerful weapons, or the lives of other players that have been downed in its four-player co-op mode. This should mean that you really have to think about how best to augment your character as resources are finite. Graphically it looks pretty impressive, and I’m hoping it’ll be something to give my console a bit of a workout. By the sounds of it, it’ll give me a bit of a workout as well; the developers have stated that they set out to make a tough game, and it’s dark fantasy setting, themes of sacrifice and loss and monster designs that look like they’ve taken a little inspiration from Dark Souls seem to visually reinforce this – it looks like it might be a bit hard. It begins from the depths of despair, with you playing as a slave to be sacrificed, owned and imprisoned by a ruthless mage. 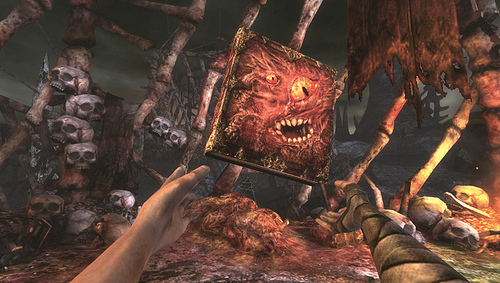 The looming promise of certain death is interrupted by the appearance of a mysterious “book.” The tome, inexplicably able to think and speak, introduces itself as “Librom”. The Japanese release of Soul Sacrifice last month gave a massive boost to the Vita’s sales performance, so let’s hope it can do the same here when it launches at the end of this month. 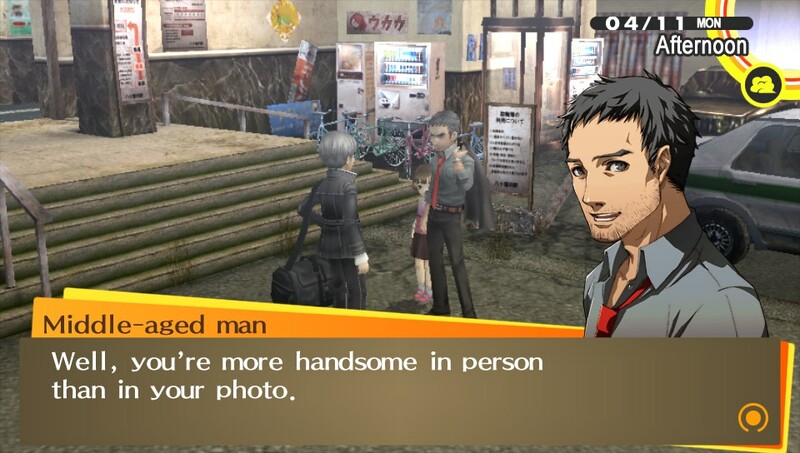 I finally started Persona 4 Golden, and I for one am shocked and appalled at what I have witnessed! And amused. I’m also mildly amused. A very short video has appeared online, showing off some of the work that has been done to bring Final Fantasy X up to HD resolutions. A remaster of the 2001 PS2 game was announced back at TGS 2011 for PS3 and PS Vita, but nothing has been heard of it since, so it’s a bit of a surprise to see this video appear seemingly out of the blue. The footage was shown as part of a Japan-focused Vita Heaven conference, and was just a quick look at the character models of Tidus and Yuna in all their Hi-Def glory. You can also see Bahamut and Yojimbo in the background of the video embedded below, and Famitsu managed to take some screengrabs, which I have linked at the bottom. Ok, so it’s not much to go on, but it certainly looks nice and sharp, and richly detailed. Perhaps it’s just me, but Yuna’s facial structure seems to have been subtly altered. When the camera gets in close, she looks a bit… boyish. I don’t know… maybe it is just me. Either way, what little we see of the game looks fantastic, and I can’t wait to get my hands on it; FFX HD was one of the main reasons I bought a PlayStation Vita (despite the fact that I replayed it on PS2 only about a year ago) – I utterly love FFX, it’s among my favourite Final Fantasy titles, along with IV, VII and IX. Whether the game is still due for PS3 is unclear (to me, at least; I can’t tell if it’s mentioned in the embedded video), and there’s also no hint of a release window. That they’ve chosen only to show a small amount of in-engine character modelling, rather than gameplay footage, could mean that not much has been accomplished so far. I hope that’s not the case, as I really want to replay Final fantasy X soon. I just hope they’ve re-rendered those gorgeous cutscenes in a higher resolution and got rid of that horrid motion blur that served to hide so much of the detail in the PS2 original. Back in 2006, Square-Enix introduced us to the Fabula Nova Crystallis: Final Fantasy XIII concept, ostensibly a series of Final Fantasy games that share an overarching mythology, if not setting. This was originally intended to include the numbered series title Final Fantasy XIII, as well as PS3 exclusive Versus XIII and PSP title Final Fantasy Agito XIII. Now we find ourselves in 2013 and one of those titles is missing in action, (leading many to assume it’ll never see the light of day) while another remains trapped in Japan with no hint that it might one day escape. Instead, we’ve received a sequel to Final Fantasy XIII (which, while I liked it, enjoyed a mixed reception at best), with another, Lightning Returns, on the horizon. As I mentioned above, Versus XIII seems almost dead in the water; there’s been no word on it for some time now, beyond a rumour last year that it had been repurposed into Final Fantasy XV and would be unveiled at E3 that year. Obviously that didn’t happen, leading some to claim the game had been quietly mothballed. Square-Enix themselves have publically stated that Versus XIII is still in development, but after more than seven years of tinkering, it’s difficult to remain positive. What makes this situation more aggravating is that the aforementioned PSP game, since renamed to Final Fantasy Type-0, was released in Japan nearly 18 months ago. It provably exists – development is long since finished, yet there has since been no word on a Western localisation, bar a couple of rumours that the Vita may see a port (due to the PSP being more or less a dead platform outside of Japan), leading to some online retailers listing it for pre-order. These listings have since been removed. I don’t know about you, but that doesn’t sound massively positive to me. He’s basically confirming that no localisation work has even been considered at this stage, let alone begun. All of which makes the news that dedicated fans are currently working on a Type-0 fan translation patch much more comforting than anything Square-Enix have to say. In the video below, you can see the early fruits of their labours. Of course, fan translations are nothing new in gaming, certainly when it comes to jRPGs, but I doubt many thought such a high profile game would need such a patch. The legality of such is a little shaky (as you’ll need a ROM of the game to apply the patch to – so get importing if you’re interested), so it remains to be seen whether or not Square-Enix will take any action over these efforts. We can hope not; if Square-Enix won’t allow the vast majority of the world to enjoy this highly-rated and highly-anticipated game, then at least allow fans to translate it so we can import a Japanese version and still understand what’s happening. I’d much, much rather have an official English-language release, but that doesn’t seem likely; we can hope the publicity these fans’ efforts are garnering will prove that there is sufficient demand for Type-0 outside of Japan and the company springs into action. Until then, I’ll be keeping a keen eye on this translation patch, and I shall have to content myself with ‘We Have Arrived’ on Theatrhythm. PSA: Jet Set Radio and Sine Mora now available on Vita! Today is the day that Vita owners finally get their hands on Sega’s HD remaster of much-loved skate-n’-tag-’em-up Jet Set Radio. It was released two months ago onto PSN and XBL, with the Vita port at the time expected to follow in October, only for it to be delayed. It’s absolutely been worth the wait though; it looks spectacular – colours really pop on that five inch OLED screen (as you can see in the screenshot captured directly from my Vita, above) and the game looks beautifully clean and smooth. This may even be the best I’ve seen the game look, and it’s hard to discount the ability to play it wherever, whenever. 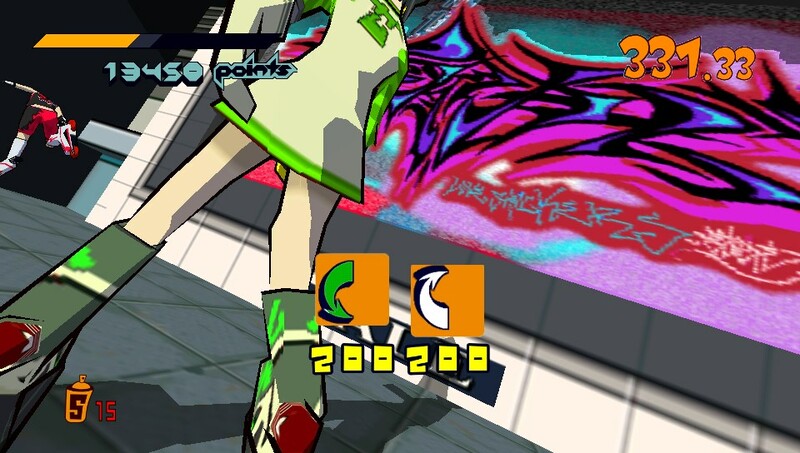 Jet Set Radio is on the PSN store now for the princely sum of £6.49, and perhaps owing to the difference in release dates between the Vita and PS3 versions, it is not available on Cross Buy. But it’s still worth every penny – in fact, I’ve now bought this game three times! Also out today for the handheld is Digital Reality/Grasshopper Manufacture shooter Sine Mora. After originally going up for the rather expensive price of £11.99, it has now been corrected and stands at a much more palatable £7.99 price point. There are apparently significant differences between the handheld and PS3 versions, and as such this title is also not available on a buy-one, get-both deal. This of course isn’t the only Vita action taking place this week, as PlayStation Plus launches for the handheld too, with games such as Uncharted: Golden Abyss and the excellent, excellent (did I mention it’s excellent?) Gravity Rush being added to the Instant Game Collection. Plus on Vita ties into its big brother, so you’re not expected to take on two subscriptions. I think the service is really going to represent fantastic value for those with both consoles in the coming months. Vita sales are still pretty languid, but it’s great to see Sony supporting it with services like this. Of course, it may not bring in new buyers, but it’s great for existing owners to see the platform holder getting behind the handheld.